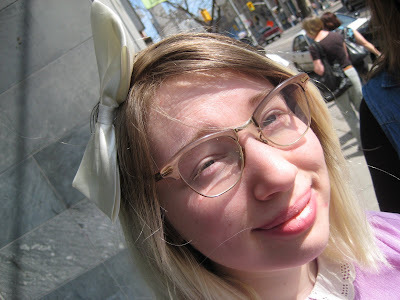 Could these sisters on Queen St. W. be any more beautiful and stylish? And check out these friends just a block away. 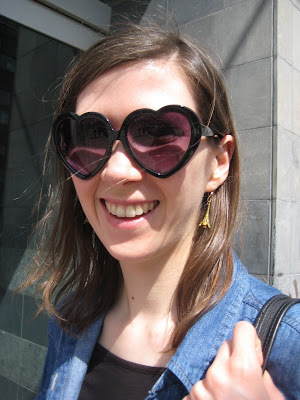 Feminine and romantic = pink, bow in hair, heart-shaped sunglasses and Eiffel tower earrings. I love 'em.